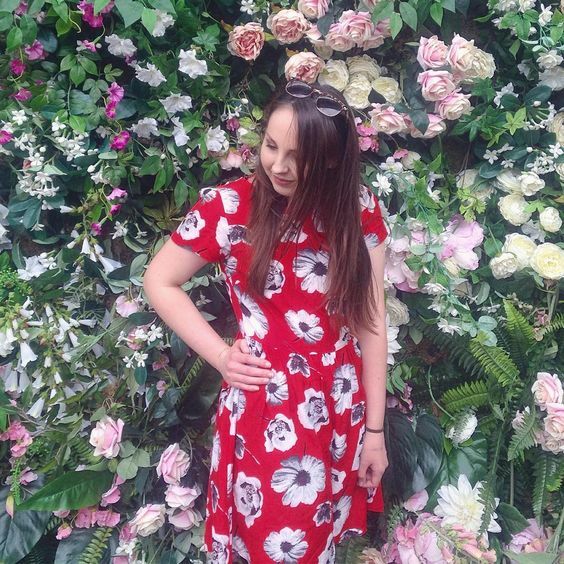 The Body Shop is honestly one of my favourite brands, so when the lovely Tasha from the Leicester Highcross store got in touch to invite me for a pamper session, there was no way I was going to say no. 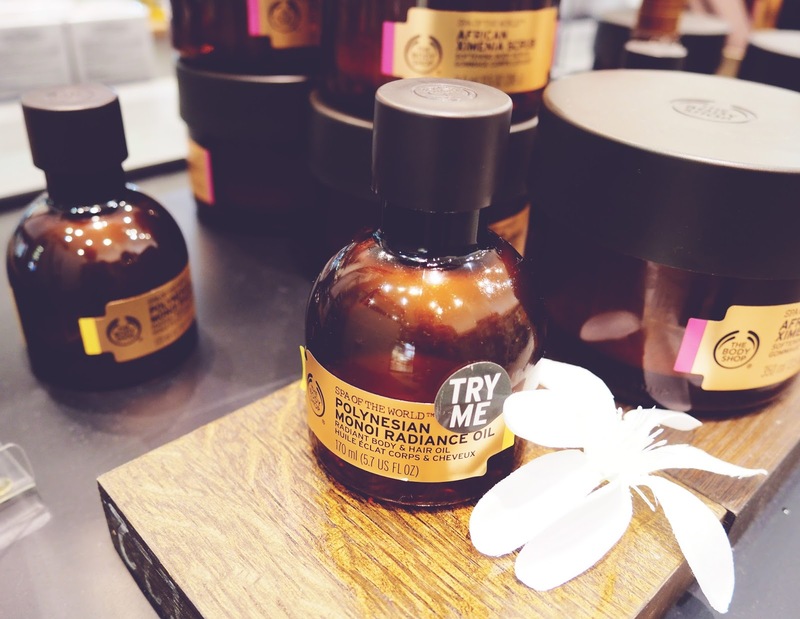 I asked fellow Leicestershire blogger Steph (who writes at Priceless Life of Mine) to come down with me for an evening discovering some of The Body Shop's latest products. 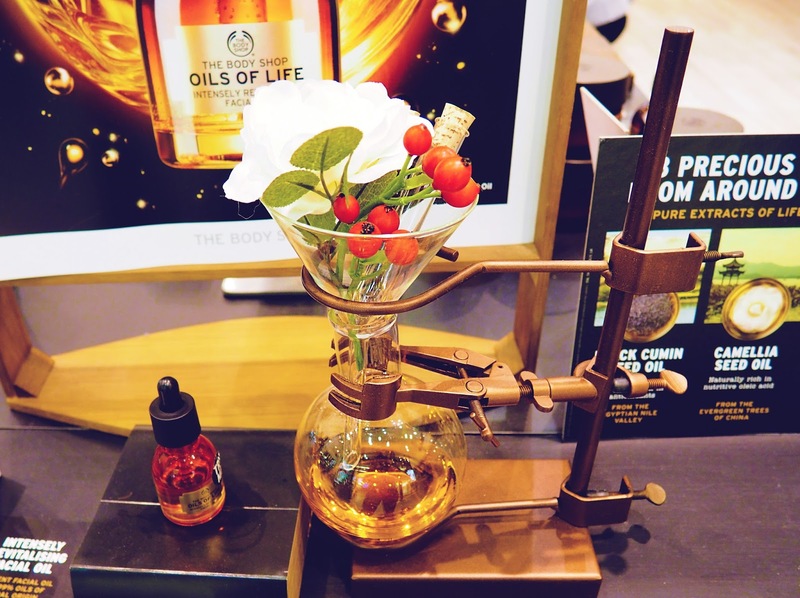 In case you've been living in a cave for the last month or two, The Body Shop have recently upped their game and brought out two new luxury ranges called Spa of the World and Oils of Life. We headed to the 'facial station' where Tasha introduced the Oils of Life product line. Interestingly, the products are at the centre of The Body Shop's first ever television campaign. 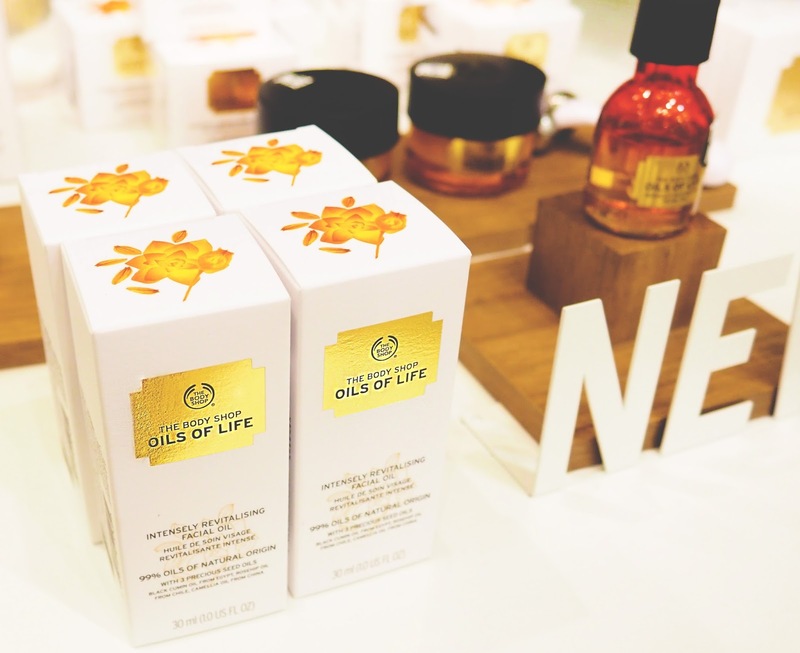 Oils of Life is a collection of products with a focus on hydration; essences, moisturisers and facial oils, all formulated with a trio of cold-pressed oils. Black cumin seed oil, rosehip seed oil and camellia seed oil revitalise the skin and promote radiance no matter what age or what skin type, so this range truly has universal appeal. We started off by having a mini skin consultation which allowed Tasha to tailor the products to our individual skin needs. I have oily skin, and use deep cleansing products in the morning to keep oil at bay throughout the day. However the evening is where my skincare game really comes into play. 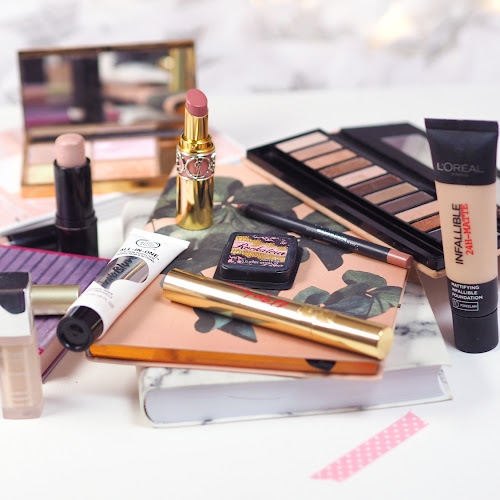 I tend to pay attention to my skin's needs rather than limit myself to products solely for oily skin, and I can indulge in richer formulations without having to worry about how it's going to sit under make-up. 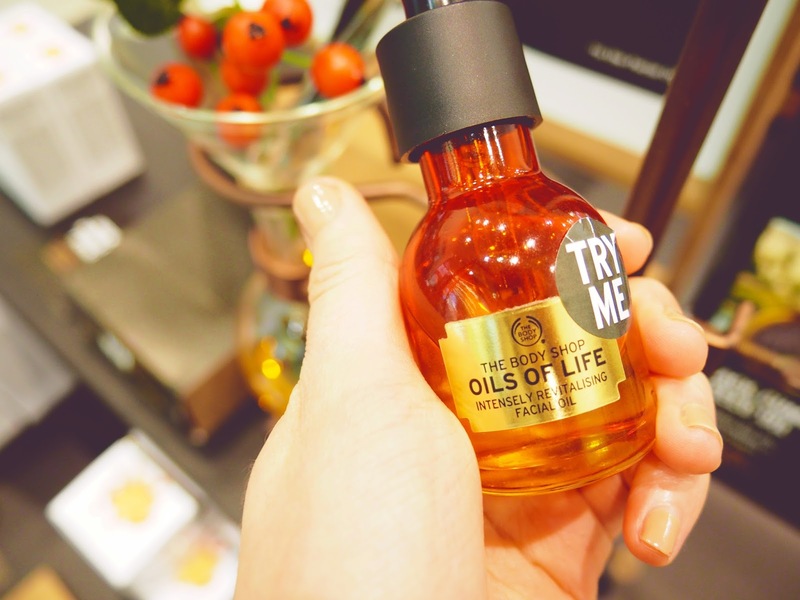 Oils of Life is the kind of range that would fit seamlessly into my evening skincare routine, as it really focuses on adding that extra bit of nourishment to the skin. I mentioned that I loved the Seaweed range, so Tasha started off with the Purifying Facial Cleanser (£9.50) to remove any dirt from my skin. She then introduced the first Oils of Life product, which was the Intensely Revitalising Essence Lotion (£15). Essences are bi-phase water and oil emulsions, which gets rid of excess grime without stripping the skin of moisture. This is a great way to maximise the effectiveness of your skincare routine and get a bit more hydration out of your products. Essences have been hot property on the Korean skincare scene for some time now, but this is the first one I've seen from a British brand. Next up was the Intensely Revitalising Facial Oil (£28). This has such a beautiful lightweight texture for an oil and is easily absorbed into the skin. I adore using oils as a night time treatment when my skin is feeling really dry, as they make such a difference to the skin the next day. As with all the Oils of Life products, this has the most beautiful, luxurious spicy/floral scent that reminds me of expensive perfume. After using the oil, Tasha used a particularly intriguing device to give the most amazing facial massage. The device in question is the Twin Ball Facial Massager (£16), and one that I knew I had to own. This is a manual massager with two metal balls that rotate in different directions as you roll it over the face, stimulating blood flow and aiding lymphatic drainage. This increases elasticity of the skin, improves circulation and tone and reduces the appearance of wrinkles and puffiness. I instantly knew that the ice cold feel of the metal would make this massager perfect to use after a long day, or when I am feeling particularly tired or headachey. Tasha finished off the Oils of Life experience with the Intensely Revitalising Gel Cream (£25). Being gel, it is the lighter of the two moisturisers in the range, and one that best suits my skin type. 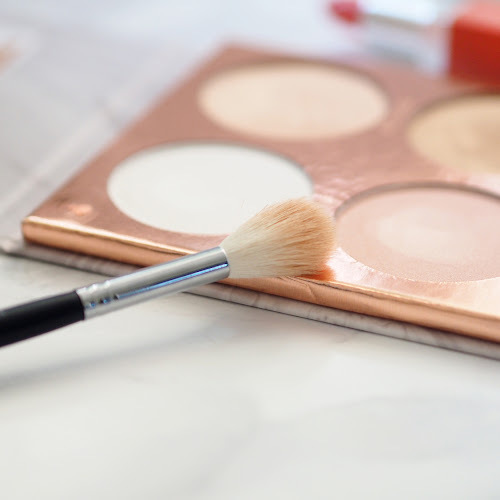 It is really hydrating, whilst still being lightweight, and doesn't weigh down oilier complexions. 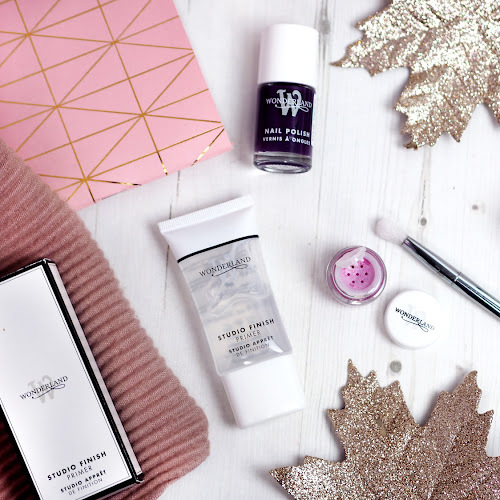 This would be perfect to add into your skincare routine when winter rolls around, as the oil-enriched formula would be great to tackle those pesky dry patches. We were also given a whistle-stop tour of the Spa of the World collection, and treated to a lovely hand treatment and massage. The whole range is based on spa rituals from various different corners of the Earth. The range encompasses 3 relaxing rituals; The Relaxing Ritual, The Revitalising Ritual and The Blissful Ritual. These all take various product combinations and use them to scrub, nourish, treat, relax and massage your way to pure bliss. 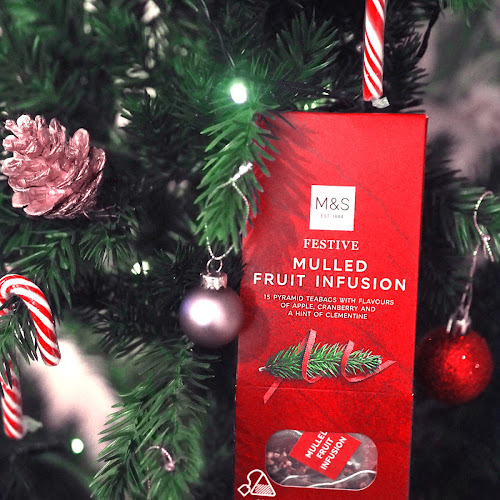 The whole collection has such an emphasis on beautiful fragrance, so this is right up my street. 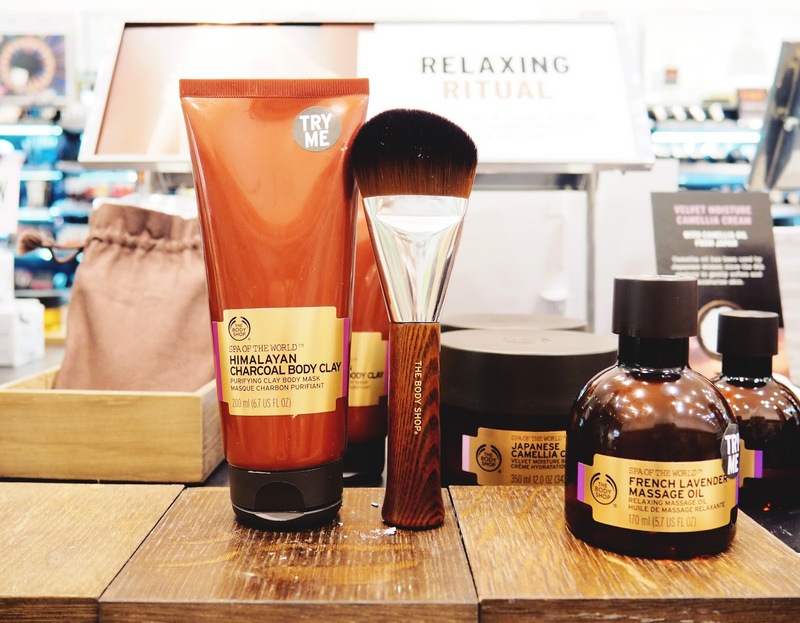 The Spa of the World and Oils of Life are The Body Shop's most luxurious ranges to date. The lines offer innovative products housed in beautiful packaging, and have some of the most beautiful scents. I feel that these ranges really add something special to The Body Shop. There is such an emphasis on luxury and quality, and this however is reflected in a higher price point. If you are looking to really treat yourself, then the Spa of the World and Oils of Life collections make the perfect additions to your pamper routine. Of course the hoarder in me wouldn't let me leave the store without buying something and I'd already decided that the Twin Ball Facial Massager would be mine. I also picked up a few minis from the Seaweed range; a repurchase of the Clarifying Toner and the Deep Cleansing Facial Wash. I made another repurchase in the form of the All-In-One Instablur Universal Primer (£14), my holy grail. Steph and I both left with a lovely gift bag full of sample pots of the products we had been shown so we could try them for ourselves at home. I'm sure I'll be back to purchase a full size of at least one of the products! 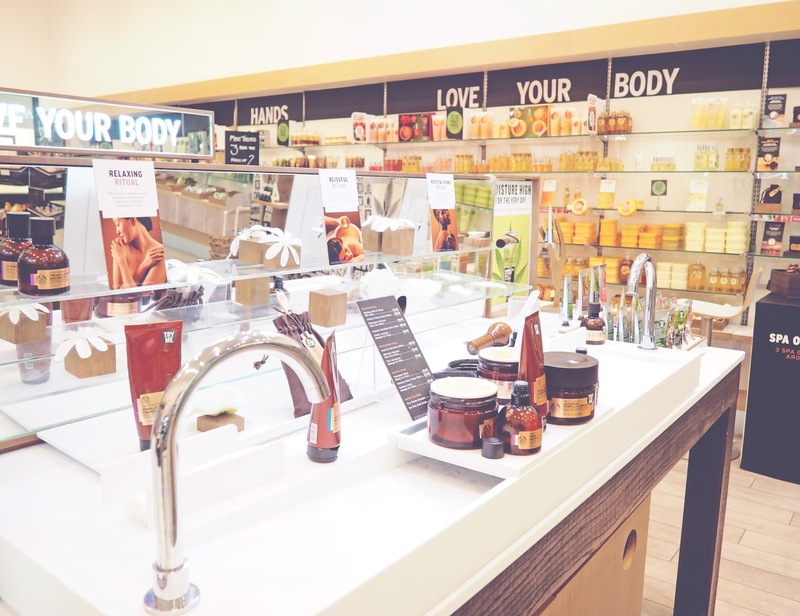 Tasha was really approachable and friendly, as well as being knowledgeable about the products. 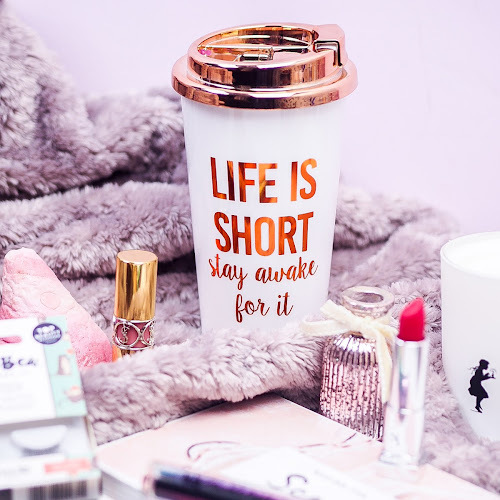 Best of all, there was absolutely zero pressure to buy anything, Tasha came across as being really genuine, taking an interest in our current skincare routines and our lives in general, rather than being fake just to sell a product. I want to say a massive thank you to her for inviting us down! If you want an in-depth personal tutorial on the new products, don't forget that you can pop into your local store for your very own skincare consultation or hand massage. I walked out of The Body Shop with luminous skin and soft, soft hands, and you can't get much better than that for free! What's your Body Shop must have?